Google likely to face another record fine at the rescheduled meeting. US President Donald Trump's visit to Brussels has led EU antitrust regulators to postpone their decision in their case against Google's Android mobile operating system. The European Commission had previously scheduled a meeting of national competition agencies to brief them on the case against the search giant. However, the meeting has now been rescheduled to July 17 to avoid any interference caused by President Trump's visit. The US President will attend a NATO summit in Brussels this week which would likely overshadow the Commission's findings in its three-year long investigation into how Google exploited the dominance of Android to marginalise rival device manufacturers. Last year the European Commission levied a record €2.42 billion fine against the company for promoting its own shopping service over that of its rivals. 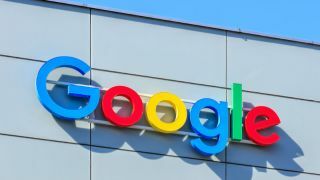 In total, the Commission has brought three cases against Google including one for its shopping service, one concerning its mobile OS and one involving its online search advertising business AdSense. However, the Android case is seen as the most important of all three. The European Commission has its sights firmly on Google and European Competition Commissioner Margrethe Vestager has even gone so far as to suggest breaking up the company in the EU. The upcoming decision is expected to result in yet another hefty fine for the search company and we'll know more once the Commission reveals its final decision.